Do you know what way a product wins the hearts of the customers for a long time? The formula is simple. It should keep the customers excited by adding innovative features to its every new launch on the market. Cobra keeps in line with this concept and always makes waves on the market with its unique features. Coming to Cobra 18WXSTII, there is so much to treasure. However, the most enticing feature of this product is its front speaker that offers excellent sound quality. It transforms a stressful driving into a recreational activity. We are sure you might agree with the fact there is nothing relaxing like an uninterrupted conversation. Cobra makes this possible with its great soundtrack system. 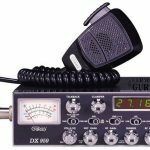 Moreover, the sleek and stylish design of this radio will put a smile on your lips so instantly. 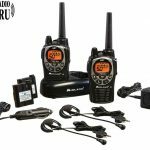 If you are a fun-loving user who occasionally steps outside of your normal routine and relishes the great outdoors in your motorhome or RV, then Cobra 18 WX ST II guarantees you the best setting. Here are a bunch of other features that helps it to win over the minds of the users. I often go for recreational trips and this one proved to be a wonderful choice for this purpose. The front-firing feature is so amazing and the backlit LED facility enables you to operate the system even in the dark. It is the loudest system for weather alerts. However, I am not sure whether this is suitable for heavy-duty vehicles. 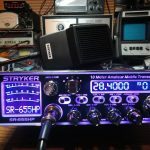 Trust me it is far different from the old, dull looking conventional radio in terms of outlook. It is beautifully designed so that the users find it a very convincing choice for their aesthetic needs. It not only thrills you with its classy design, but also with its set of amazing features including good weather scan technology and dual watch facility. With all these features, the price sounds absolutely reasonable. This is a perfect choice for in-dash installation. 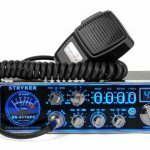 You need not invest your valuable time and energy in the backbreaking session of mounting a CB radio in your vehicle. The ‘U’ shaped mounting bracket makes the installation so much easier. Any single DIN installs radio slot will do the job. While many of the users praise the recreational feature of this radio, I go crazy about its weather technology. The weather alert is so loud that it always keeps you free from the dangerous road conditions. Moreover, the weather channels work so instantly. If safety is your priority, this one seems to be worth investing. 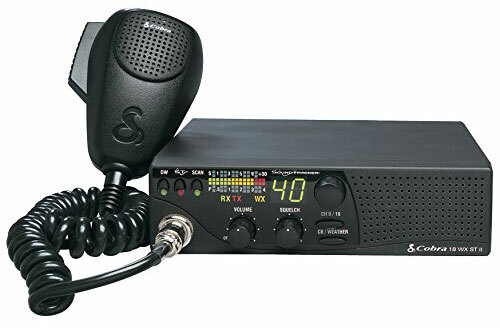 Nevertheless, the users should bear in mind that this radio is best suited for Recreational Vehicles. Not advisable for large heavy-duty trucks as it is primarily designed for recreational vehicles and motorhomes. 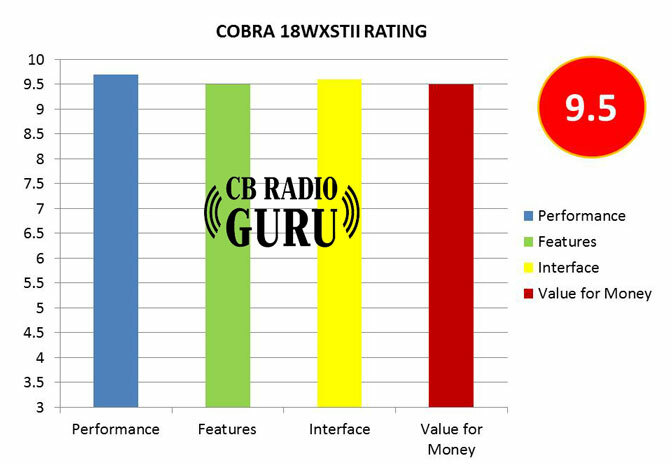 Performance of 18WXSTII is outstanding and that’s why we’ve given a top rating for its performance. Those occasional users will love its interface. 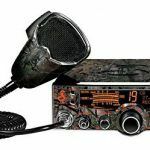 Cobra is known for manufacturing high class and great CB radios. The 18 WX ST II is no different. 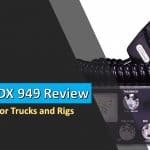 The major attraction of this radio is its front firing speaker which enhances its performance tremendously and facilitates easy mounting options. Apart from the recreational facet, it treats you with a pack of other features that include sleek and compact design, ease of in-dash installation and good sound tracker technology. If your mind has given a green signal, then this is the right time and right place to go for it.